Would you like to receive a quotation? Acting upon the order of an international manufacturer of construction materials, PMR Research prepared a report on the costs of constructing various types of buildings and structures, and the most widely used construction materials used in residential, non-residential and civil engineering construction in Poland. The report was prepared in close cooperation with experts in the construction market, including construction engineers with at least several years of hands-on experience and persons who are engaged in preparing construction cost estimates as a profession, as well as academics involved in civil engineering construction. The collected information was further confirmed and supplemented with the data obtained as a result of desk research. the most popular materials used in individual construction phases in Poland together with information on the frequency of and reasons for using the given materials. Additionally, this part of the report was supplemented with graphic materials and descriptions of the use of individual materials. comprehensive industry analyses using PMR Market Insight methodology. PMR Research offers market research services of top quality tailored to meet individual needs of our clients, including B2B and consumer research and industry analysis. We are specialised in providing top-rate market information to companies interested in markets in Central and Eastern European countries. 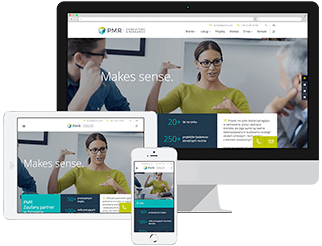 PMR Research is a specialised branch of PMR, a British-American company providing business publications (PMR Publications), consulting services (PMR Consulting) and market research services (PMR Research).